Things haven’t gone according to plan in the red half of Manchester the last couple seasons. Sir Alex Ferguson sealed his legendary career two seasons ago with one last title before sailing off into the sunset that is the Old Trafford’s directors box. From there, the intensity of his gaze seemed to blind and break his hand-picked successor of David Moyes. Despite performing admirably with limited resources at Everton for a decade, Moyes was only able to guide more or less the same side Ferguson had guided to a title just the year before to an unthinkable seventh place finish. Perhaps that’s a sign that Ferguson was the glue that held things together in that final season. He managed to eke out what might have been just enough to paper over the sizable cracks in the foundation, like an aging Rio Ferdinand and fading Nemanja Vidić, a weak midfield and a complete lack of depth. Since then though, fans of the Red Devils and much of the punditry has been quick to point a thousand fingers at Moyes and the Glazers for ruining the house that Ferguson built. They provided explanations such as “Moyes wasn’t up for the stress of the job” or the “Glazers aren’t investing in the proper type of talent”. While the first could very well be true, the second one seems a little far fetched. Looking at 2014 alone, the Glazers have approved the purchases of Juan Mata (£37.5m), Ander Herrera (£28.8m), Luke Shaw (£27m), Marcos Rojo (£16m) and now Di Maria (£63.9m). And that’s not including the £28m they authorized being spent last season on Marouane Fellaini. So with at least one of those two common complaints now debunked, there could be another theory for explaining United’s demise that nobody seems willing to consider. Maybe the finger of blame should also be pointed at Sir Alex. Believe it or not, there is ample evidence to hang some of the current woes on a man who many find infallible. For starters, there’s a reason the supporters hung up that “Chosen One” banner in the stands last season: Fergie was the one who hand-picked Moyes as his successor. At his last match at Old Trafford, he pleaded with the supporters to show David patience the next season. After all, a transition of this magnitude would not be easy. Though it seems none of them had the foresight to believe things would get as bad as they’ve gotten. So when the club and board of directors — which Ferguson himself sits on, by the way — decided it was time to cut their losses, I didn’t see Old Red Nose sticking his neck out and admitting he made a mistake in selecting the former Everton manager. one of sir alex’s players for the future, chris smalling hasn’t exactly developed into a world class defender. in the lead up to his retirement about how he was buying quality young players to help prepare the club for the seasons to come. Hardly any of them have panned out. Chris Smalling? He’s awful and probably should be down with Fulham in the Championship. Ashley Young? The winger — or maybe a wing back? — is so completely overrated that birds in the Old Trafford rafters even feel the need to crap on him. Wilfried Zaha? I don’t even know if he’s even alive any longer. Shinji Kagawa? A quality player while in Germany, but he hasn’t been able to settle into life in Manchester or perform consistently. Admittedly, I’m not willing to write off Phil Jones quite yet — I still think he could develop into a solid footballer. And then there were other curious decisions made by Old Man Alex that seemed to undermine his future successor. Chief among them was letting Paul Pogba leave the club. Instead of paying an extremely talented player some extra money, Ferguson and his ego refused to back down and the kid departed for a club that was willing to show him the money. Since arriving at Juventus, he’s developed into one of the best and most sought after midfielders in Europe. And he’s exactly the type of box-to-box midfielder United could use right now to plug up their weakened midfield. Instead, there’s talk of them having to spend upwards £50 million to bring in a player of similar quality to fill the gap. Yet despite all of those factors, Moyes and the ownership get the blame and Ferguson has largely remained blameless. I’m not saying the others should be absolved of any fault, but I don’t think it’s possible either to ignore a legend’s part in the current state of affairs. 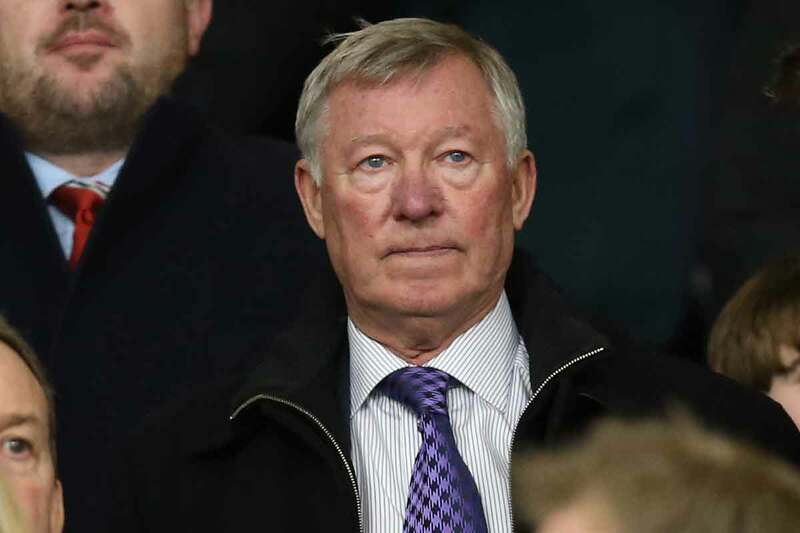 No matter all the achievements and all the glory that Sir Alex brought in his lengthy reign at the helm of one of the greatest clubs of all time, that doesn’t mean he didn’t make a series of tremendous mistakes in his final years in charge. Sure he won a title, and maybe that justifies the decisions he made at the time. But it’s those mistakes — at least in part — that can help to explain why Manchester United are mired in the struggles in which they currently find themselves.